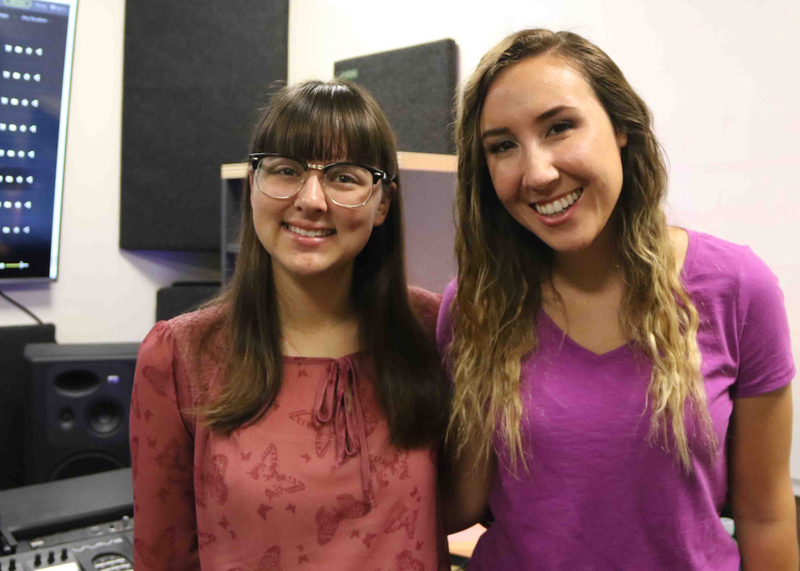 Students from the School of Communication and Media won five awards – including the top two prizes for scriptwriting — in the Broadcast Education Association’s Festival of Media Arts. Sophomore Danielle Newport and junior Emma Meadows claimed first and second place, respectively, for their scripts. They competed against students from Biola University, the University of Central Florida, University of Georgia and East Tennessee State University. In April, the university will send the students to Las Vegas to receive their awards at the BEA convention. The convention occurs in conjunction with the National Association of Broadcasters convention, which is one of the largest in the world. The latter attracted 93,000 attendees in 2018, said Dr. J. Duane Meeks, dean of the School of Communication and Media. Other BEA winners include alumnus Philip Kalicharan ’18, who took first place in the narrative category, and senior Leticia Landrau, who won an award of excellence for her original television series pilot. Alumnus Zach Guinta ’18 claimed the award of excellence in the film and video competition. Meadows’ script tells the story of a child who is raised by two blind parents. Their relationship deteriorates, but adult son’s circumstances lead him to reconnect with his dad. The movie ends with the father seeing his son for the first time. Meadows wanted to convey that pride can get in the way of realizing what’s truly important and that no matter how bad a relationship or situation has gotten, it’s not beyond redemption, she said. Newport’s script is a spy-comedy about a psychiatrist with a double life as a secret agent. The agent/psychiatrist’s new partner, as it turns out, is one of her patients. They must put their differences aside and work together to save the world. While Newport, a cinema arts major, has her sights set on a career in screenwriting, Meadows’ journey has been more circuitous. Meadows loved photography when her search for a small Christian school led her to Palm Beach Atlantic University. “I discovered I have more of a passion for film than I ever could have imagined,” Meadows said. Now the cinema arts major plans to attend graduate school for cinematography, and she has the award to add to her résumé. Newport said she’s honored to receive her award and thankful for all that her professors have done.